Ladies and Men, now a day, are extremely conscious about their appearance & they lean towards looking awesome at whatever point they venture out. One thing that most of the people can’t become tired of is adapting their radiant, delightful and sparkling hair. Since people began understanding body appearance, transformed hair styles is one thing that has been in stable request by every one of us. Using various kinds of hair straightener things which extremely harm hair, making it tougher to manage hair care. So, which is the specialized hair straightener available for curly hair? Your hair type must be the first thing you consider before buying a straightener for hairs in order to make sure you’re purchasing one that will provide you the greatest results. Aliza is proud to celebrate variety as revolutionary specialists in the afro-cosmetic business in UK. Our personal experience and knowledge of the industry have helped us to particularly made all our products to suit your hair care requirements. Aliza is proud to offer a professional hair straightener for its customers in UK. 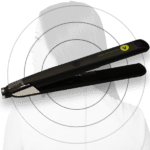 It’s one of the most professional hair straighteners that exists in the market and has furthermore assembled on the basis of some fantastic surveys and evaluations. Because of its light weight, it is not difficult to use and warms up in few minutes so you don’t need to sit for long time in order to style your hairs. The unique selling point of Aliza’s professional hair straighteners is its fixing novelty which provides you smooth and delicate hairs in just one go and you don’t need to use the hair straightener again & again. The hair straighteners first seemed on the scene during the late nineties & changed the hair industry practically overnight. This similarly reduces the extend time periods which people take for hair fixing. You are free from hair fall and hair breakage and rectifying your hairs goes into a fun movement. The key is to straight your hair at the right temperature. From fine surfaced hair to long, thick locks, our presses innovative temperature control allows people to create lovely looks by applying only the amount of heat you require for your definite hair type. 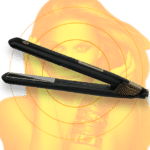 The Aliza’s professional hair straighteners is favorite among celebrity’s hair stylists due to its reliability & shiny, frizz-free consequences. Just because you aren’t a celebrity and never going to step on the red carpet doesn’t mean that you can’t afford to have the stylish hairs like celebrities do. Our experts make it easy for you to attain shiny and frizz free outcomes at home, so you can feel the celebrity looks even if you’re just taking coffee with friends and not walking on the red carpet.